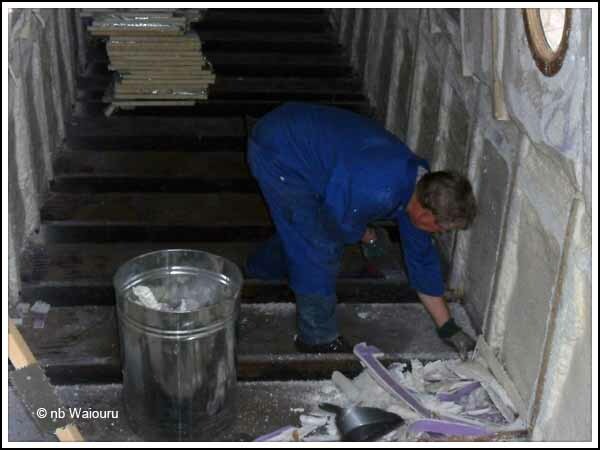 Waiouru: No more damned foam! Am I going to sleep well tonight! My morning was spent with a cross cut saw in one hand and a straight edge in the other. The foam has now been cut back on the walls above and below the gunwale. I’ve decided to leave the ceiling until the floor is installed as it will be the most difficult part of the whole job. I can confirm cutting back foam is a messy job. It get in your hair, eyes, pockets, socks, bellybutton and nether regions. The afternoon was spent cleaning up in preparation for the Waxoyl. I adopted a two step process. First I removed all the large foam offcuts using a broom, kitchen tidy and rubbish bin. I took approximately 20 rubbish bins of foam to the large industrial waste bin and it was full by the time I finished. Others in the boatyard will also need to dump their rubbish in the waste bin so; using a small stepladder; I climbed into the bin where I stomped around as if I was pressing grapes. My actions resulted in the foam being compressed into the bottom half of the bin. Then I used a paint scraper and cold chisel to clear all the foam overspray off the baseplate and out of the drain holes at the ends of the steel floor joists. Finally I vacuumed the baseplate so the surface will be clean for the application of the Waxoyl tomorrow morning. We now have two inches of well applied foam insulation. Waiouru should be warm in winter and cool in summer! We could have left the insulation in it’s original state but I’ve always believed If a job is worth doing…… it’s worth doing well! I know we won’t have to worry about the quality of the insulation. 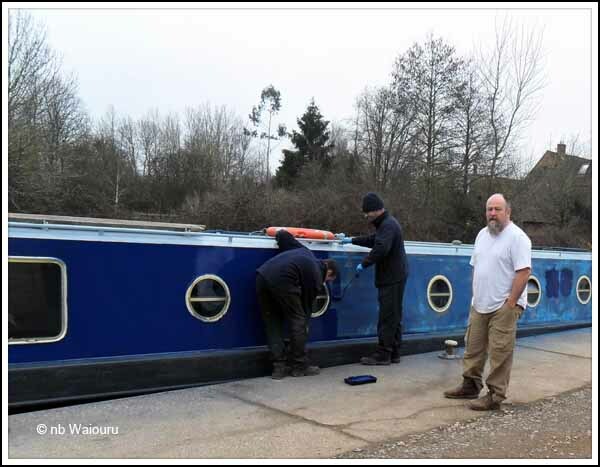 Meanwhile Paul was checking on the boat painting being done by Richard and Mark. The four blue hire boats are being repainted before the start of the season. 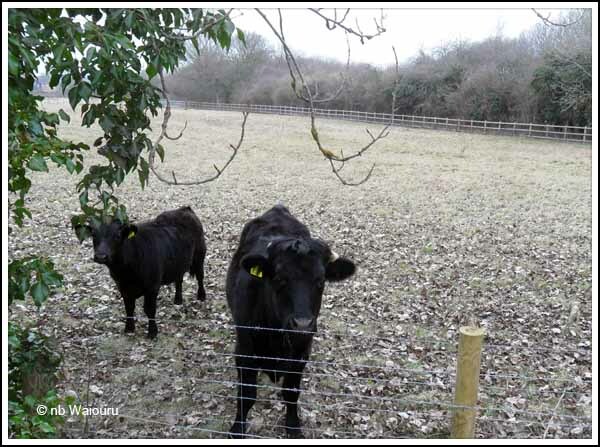 Jan had gone off to chat with the new neighbours. They appear to be settling in well and I wouldn’t be at all surprised if Jan doesn’t start feeding them. Apparently a fox got the chickens so the farmer is going to restock!